Beverage Distributors are looking for new beverages to distribute. "Using Beverage Distributors is one of the best ways to get your new beverage on the shelves of independent and chain retail stores"
Beverage Distributors have great relationships with their retailers and are able to get your product quickly distributed into thousands of accounts. 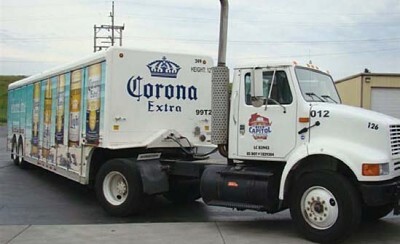 The first thing you need to do is locate a beverage distributor that is able to distribute your type of beverage. That means they are currently selling to the retailers you would like to carry your product. You should also look for a beverage distributor that offers (DSD) direct store delivery and provides merchandising and in-store marketing support for your product. You don't want to have your beverage distributed to a store without knowing someone is going to stock, rotate and properly market your product. • Small Distributors that distribute straight from their van.. If you would like to sell your new beverage to convenience stores, then using a full service DSD Beverage Distributor would be your best choice. If you have a beverage that a Beer Distributor will not distribute because you don't have the sales numbers or not a large enough marketing budget, then the next best distributor would be a broad-line wholesaler such as McLanes or Core-Mark. Broadline wholesalers are also preferred distributors to certain major convenience store chains because they provide a large range of c-store products. McLanes is a very large distributor that mainly services convenience stores such as 7-eleven and local independent mom and pop stores. They will deliver the product to the retailer and leave it up to the retailer to merchandise your product. If you use this type of distribution, you need to make sure you have a team of sales people that can properly merchandise your beverage in the store or you will not get the best shelf placement for your product. These type of wholesalers will typically want to make at least a 30% margin on your product. The main problem with some broadline wholesalers such as Mclanes is that they are not great at selling in new products to their existing retailers. They have thousands of products to sell a single retailer, that they don't have the time to focus on personally selling in your new product. They will use marketing bulletins or programs to inform a retailer about your new item. It's really your responsibility to sell your new beverage to their accounts and they will deliver it. 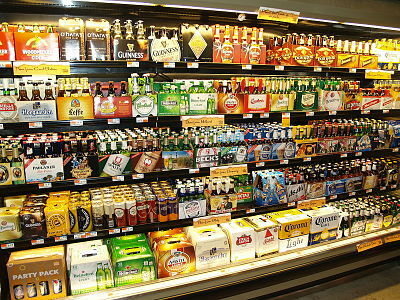 If you were to use a beer distributor or a dsd beverage distributor, their salesreps will go into the store and personally sell your product to the retailer but you still have to fight for their share of mind as they are also selling hundreds of other sku's. If you have a new innovative beverage that has consumers demanding it, then a beverage distributor will at least listen to you. They will evaluate your product on various criteria. • They want your product to have a clear point of difference and not be a me-too product. Your product has to add incremental growth and not just replace an existing product. At the end of the day, they want a product that will turn over fast and add incremental money to their bottom line. There are some things you can do to get the beverage distributor to focus on your product. One of the best ways to get their attention is by offering them incentives for selling your product. They need to know that your product does what it says it does and they have enough sales material to market it. Product knowledge and sales support is very important to a distributor sales rep, if you want them to focus on selling your product.